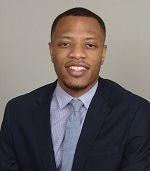 James received his Bachelor’s Degree in Legal Studies from the University of Central Florida in 2014 and his Juris Doctorate from Florida International University College of Law in 2018. While in law school, he interned with the United States Securities and Exchange Commission and the City of Miami Attorney’s Office. He also worked as a student attorney for the Florida International University Small Business Clinic and interned at the Third District Court of Appeal for the Honorable Thomas W. Logue. James is licensed to practice law in the state of Florida and focuses his practice on workers’ compensation defense.